Fly and collect cute hot air balloon animals in this beautiful, free arcade style game. 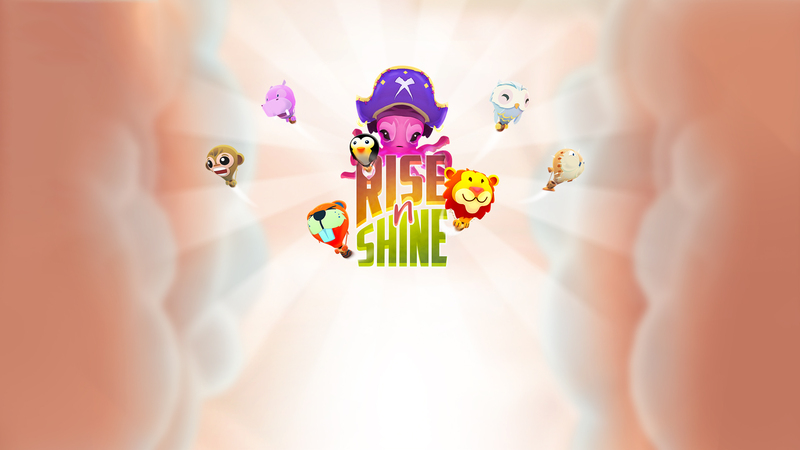 Fireside Games, an indie game studio, launches its first app Rise 'n' Shine. This all ages game personifies hot air balloons as charming animal characters; and takes the player on an infinite runner styled adventure through the clouds. The gameplay introduces a challenging balance of collecting stars and powerups while optimizing fuel and dodging obstacles. Gameplay switches between calm and stormy skies to add even more variety, and as you fly higher, storms become more frequent and longer, while powerups and fuel become more rare. Stars can be collected throughout the game and used to unlock new balloon characters from a wide selection of cute designs, each with their own personalities. The game is rendered beautifully in a Disney inspired art style, full of rich colors and effects that pop. The animation and physics are fluid and really give the impression of soaring through the clouds. The game design and visuals will resonate with all audiences. Addicting, easy to play endless runner style gameplay. Charming, Disney inspired art style. Tons of unique balloon animal characters to unlock. Compete against friends with achievements and highscore leaderboards.